Boards of directors set the ultimate tone at the very top. 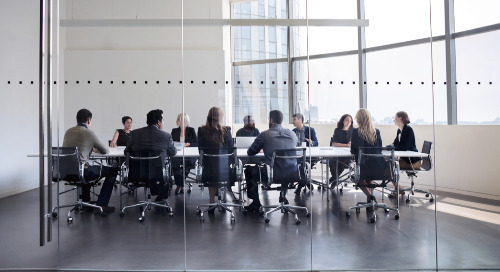 What they say, what they do, and where they spend time cascades from the C-Suite all the way through the grassroots of companies around the world. 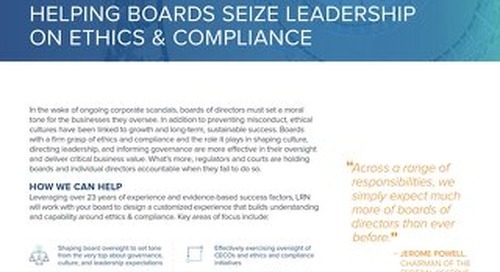 One of boards’ critical roles is to oversee ethics and compliance and the systems that are meant to drive companies to do the right thing.. 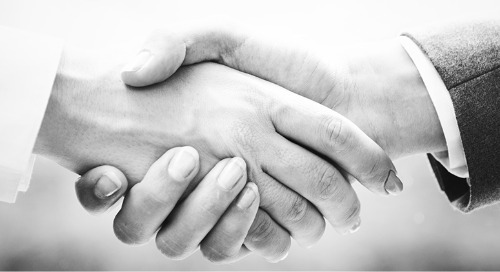 In LRN’s recent report, “What’s the Tone at the Very Top? 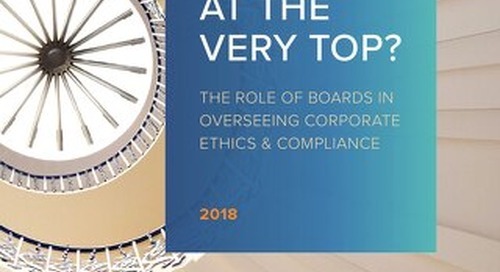 The Role of Boards in Overseeing Corporate Ethics and Compliance,” we found a big disconnect between boards of directors and their ethics and compliance (E&C) oversight responsibilities. 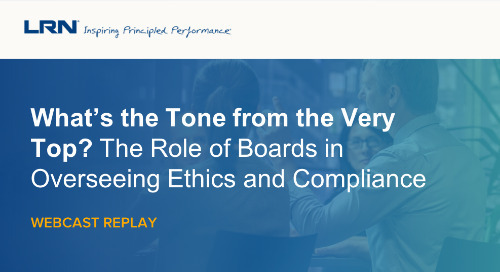 Many Chief Ethics and Compliance Officers (CECOs) say that boards tend to give E&C short shrift despite the significant business, legal and reputational risks involved in ignoring it. Case in point: the Weinstein Company’s board failed to act against its founder’s sexual abuse until it absolutely had to, and the company ultimately declared bankruptcy after immense public backlash. And the Weinstein board is hardly an anomaly. 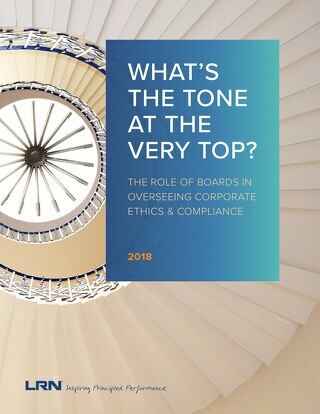 Only 40% of CECOs say that their boards of directors are willing to hold senior executives accountable for misconduct that happens on their watch. 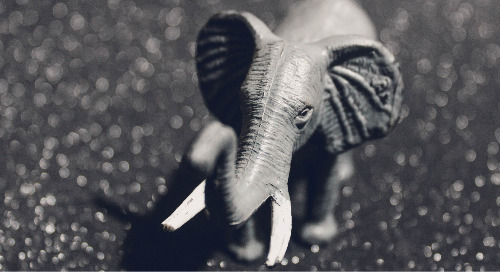 Ethics and compliance failures can have huge consequences, since the E&C function is tied directly to the board’s central concerns: value and reputation. Such lapses on the part of boards can and do blow up companies, devastating their reputation and valuation alike. And individual board members may also be in legal and financial jeopardy in the event of E&C failures. 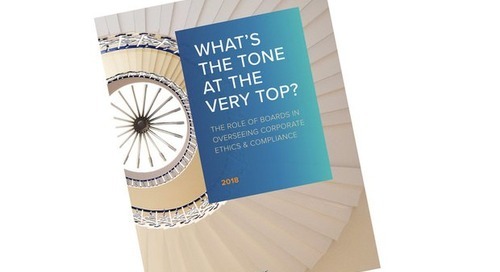 Ultimately, the gulf between CECOs and boards can be bridged – and the companies that get it right in our study show the way – but it requires boards to take meaningful steps to acknowledge the very real financial, tactical, and moral benefits of the E&C function. 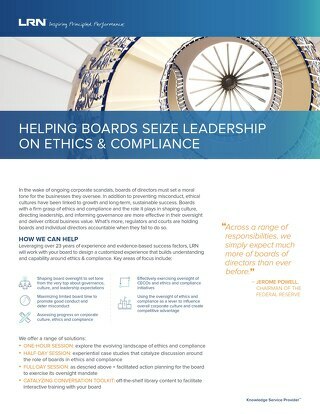 Ethics and compliance need more support and scrutiny from boards if it is to safeguard company reputation and performance.